We work with multiple portfolio owners across the banking and property management sectors, large facilities management companies, and are specialists in insurance claims and emergency call-outs covering our extensive range of services for domestic and commercial property. We are very fortunate to have an incredibly talented administrative and project management team at our base in Essex, as well as talented and highly professional specialist trades people who continually provide an exemplary service at the coal face every day! We hold all required and relevant accreditations & training certificates for the services we provide. Project Management from start to finish! 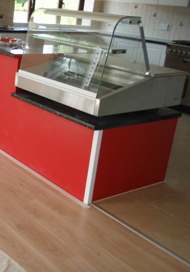 Rapid Response were commissioned to build a large tea room facility and mezzanine within an existing commercial building. This was a large project and involved….